Navigate to https://issuetracker.google.com/issues/destination?template_issue=source&template_comment=4. Observe a read error message saying: "Issue b/source#comment4 does not exist"
Navigate to https://issuetracker.google.com/issues/destination?template_issue=source&template_comment=1. Observe a read error message saying: "Access denied for: <MAIL_ADDRESS>". Navigate to https://issuetracker.google.com/issues/destination?template_issue=source&template_comment=2. Observe a read error message saying: "Access denied for: <MAIL_ADDRESS>". Navigate to https://issuetracker.google.com/issues/destination?template_issue=source&template_comment=3. Observe a read error message saying: "Access denied for: <MAIL_ADDRESS>". Cool. This just told us that the issue source has 3 comments (without us having reading access to the issue). Right? 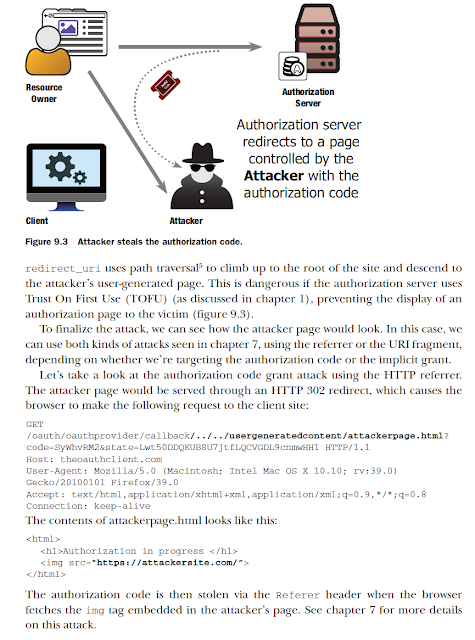 As seen in https://hackerone.com/reports/215381 it looks like Periscope.tv implements the OAuth 2 specification. The redirect_uri validation seems to be vulnerable. The registered redirect_uri from client catbzQMNEwPxwfvEMqgMFHbNTcwWevGiDRWUaq3aHERZfgnCuy seems to be https://getmevo.com/oauth/periscope. The Periscope OAuth server seems also to accept https://www.periscope.tv/oauth?client_id=catbzQMNEwPxwfvEMqgMFHbNTcwWevGiDRWUaq3aHERZfgnCuy&redirect_uri=https://getmevo.com/oauth/periscope/../../asanso&error=true. 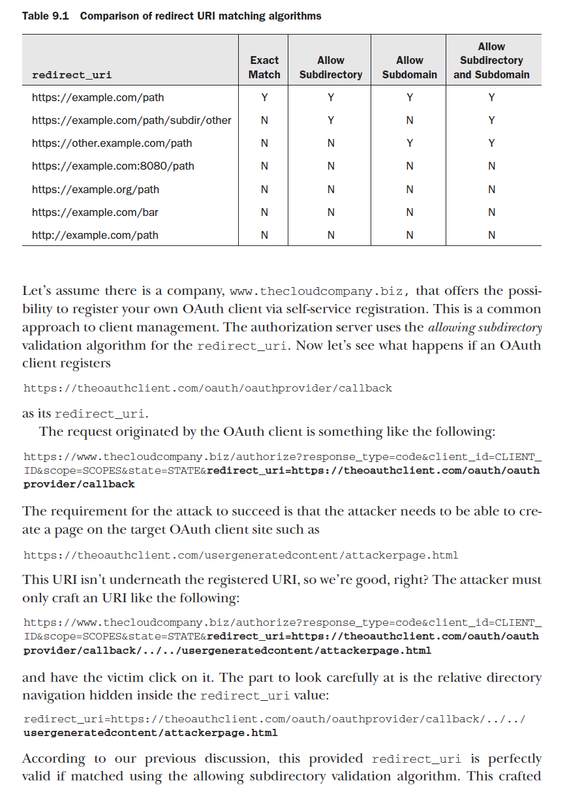 and is indeed vulnerable to path traversal for the redirect_uri. 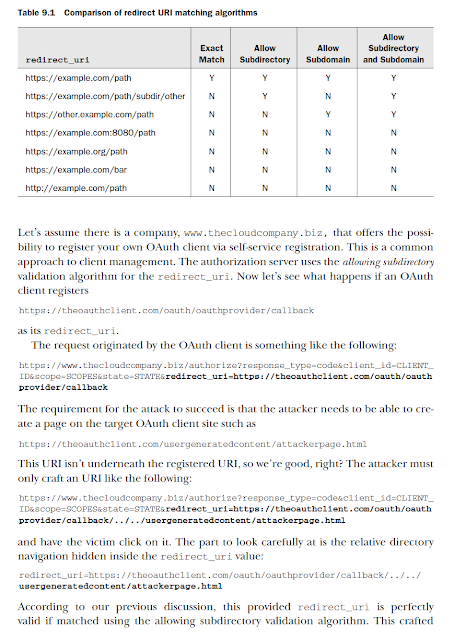 You can see an example of a vulnerability I reported to Facebook that had the same: http://blog.intothesymmetry.com/2014/04/oauth-2-how-i-have-hacked-facebook.html. 29-08-2017 - Response from Twitter: "We're having some trouble following your report, can you elaborate on exactly what behavior you are reporting and how it leaks the access token..."
30-08-2017 - Response from Twitter: "Can you please provide an explanation and demonstration of the behavior you are reporting in your own words here, without linking to these other reports or copying from them..."
31-08-2017 - Provide some pages of the book I co-wrote (see above) that talk about this specific issue. 31-08-2017 - Response from me: "Periscope is an OAuth server with a broken validation algorithm. And with this broken behavior you are putting your 'customers' at risk ." I must admit it was a bit convoluted, it took a while but it woooooooorkeeeeeeeeeeeed!!! 27-10-2017 - Twitter rewarded asanso with a $5,040 bounty. At the end of the day also this was an experience. Hence I would like to thank all the security teams involved: Google/Twitter and a big thank to the Hackerone stuff. Request mediation works! Well that's all folks. 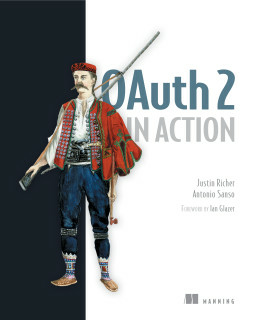 For more OAuth and Webby trickery follow me on Twitter.